The next step in our renovation adventure is to get the Construction Certificate (CC). No CC means no renovation means no new kitchen means heartbreak. Basically a CC is a list of a stack of items and you need to supply and/or pay to the local council. Once supplied and paid, the council checks them. If they are happy, they give you the CC. If not, you go around in circles trying to make them happy so they will eventually give you the CC. Cause like I said no CC, no renovation. We have been fortunate our architect, Stuart, has helped us out with getting a lot of things, like engineer reports and Sydney Water approvals. Our builders have also been great in going through the list with us and telling us explicitly what is our responsibility, leaving no doubt who has to do what and by when. Now I just need to get organised and tick my things off the list! 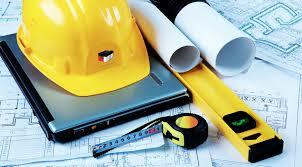 Had any issues getting a Construction Certificate?